In the Secure Packages list in the Admin Console navigation, click MyEclipse Secure Packages. In the Packages section, click to add a new package, or to duplicate an existing package, i.e. use an existing package as a template for a new one. 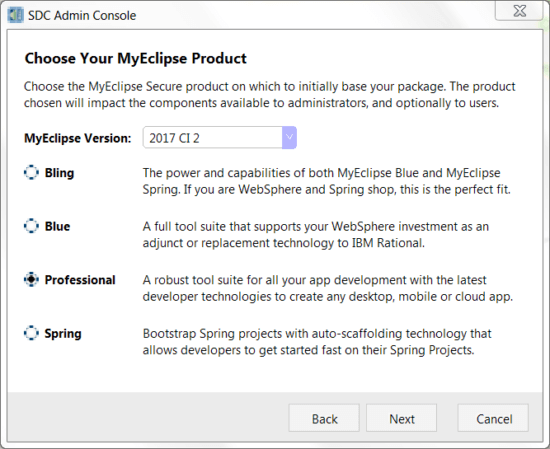 If you have more than one MyEclipse product available, choose the product on which to base the package, and click Next. Enter a title for the package. This title will be displayed on the portal web page. Choose one or more delivery groups for the package. 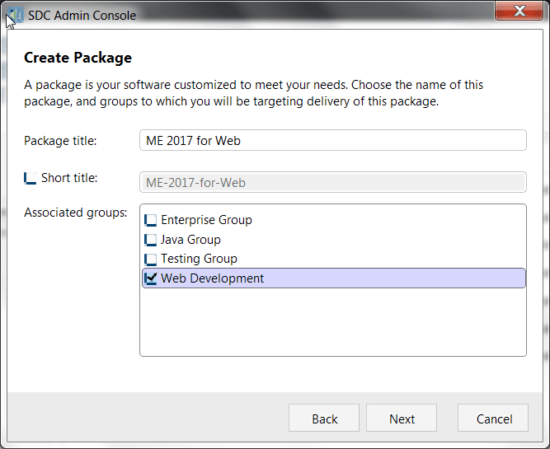 If no groups are selected, the package appears on the portal home page, if using the default access policy. Click Next. 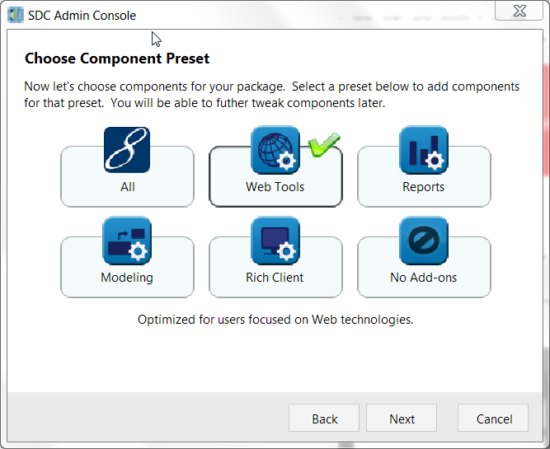 Select the components you want installed with the software, and click Next. Your choice determines the add-ons that are preselected. 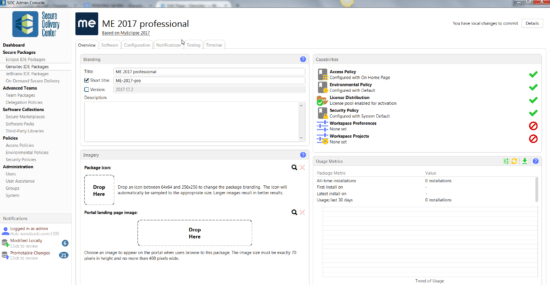 You have the opportunity later to customize your choice on the Software tab. The Package Details page opens to the Overview tab. The status of capabilities that can be defined for the package displays in the Capabilities section. The first four are set up by default. You can tailor these to fit your needs by clicking the Configuration tab or the corresponding items in the Admin Console navigation. You can also view usage metrics for this package. At this point, the package is created with default access, environment, and security policies.